We offer drive up and hallway self storage units in all different sizes. Click here to see which will suit your needs best. Do you offer air conditioned units? Yes! We have air-conditioned units. 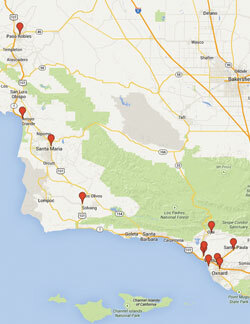 Call us at 805-693-8400 and we will let you know what is currently available. Do you have a free moving truck available for use? We always offer discounts to seniors and members of the military and police forces. Also make sure to call us at 805-693-8400 to ask about our current move-in specials! Every one of our units has an individual alarm installed, along with gated access to the whole lot, so you know your belongings are always secure. Our lot is open to customers from 7am-7pm, 365 days a year. Just use your personalized gated access code! You can find us at 711 Jonata Park Road, Buellton CA 93427. Come see us today!